What—or who—could turn a gifted little boy into a murderous thing that calls itself "Satan's Child"? In search of an answer, a man called Burke travels from a festering welfare hotel to a neat frame house where a voodoo priestess presides over a congregation of assassins. For this vigilante and unlicensed private eye has made it his business to defend the small victims whom the law has failed—even a child who had been made into a killer. 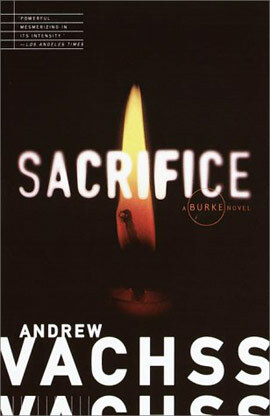 Gripping and chillingly knowledgeable about the mechanisms of evil, Sacrifice is a thriller of savage authority, from one of the best crime writers of our generation. 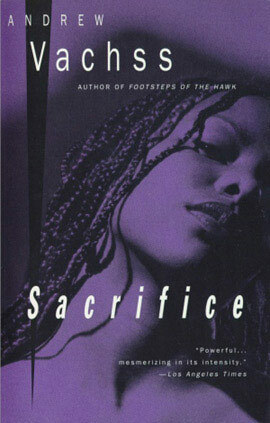 Read an excerpt from Sacrifice. 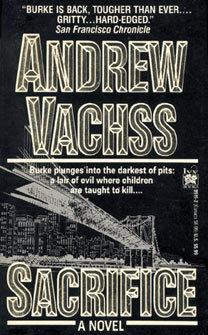 "Vachss' writing is as gritty as ever . . . It's doubtful there's another fictional private eye who can summon up in the read as powerful—and powerfully conflicting—emotions as Burke can." "Vachss is a contemporary master . . . Decidedly hard-boiled, his prose is as lean, tough-edged and brittle as the man who is his protagonist." "An absolute original . 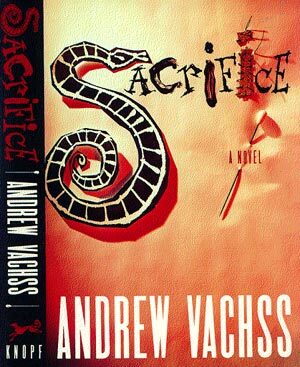 . . Andrew Vachss has become a cult favorite, and for good reason."